” … I force my feet to move. But one block in, I can’t go on. Anyone else remember 2014’s Little Melba and Her Big Trombone, written by Katheryn Russell-Brown and illustrated by Frank Morrison? 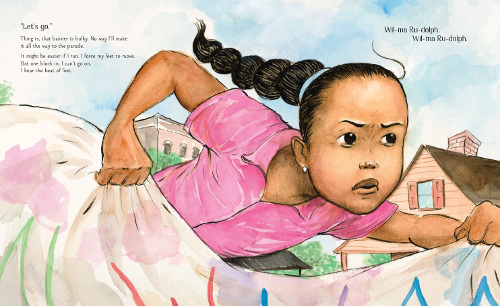 There’s art from the book here at 7-Imp; it won a 2015 Coretta Scott King Illustrator Honor. Well, today I have some more artwork from Frank, this time from Pat Zietlow Miller’s The Quickest Kid in Clarksville (Chronicle Books, February 2016). That’s right: Clarksville. As in, Clarksville, Tennessee, which is only about 70 miles from where I live. Tennessee represents. WOO! 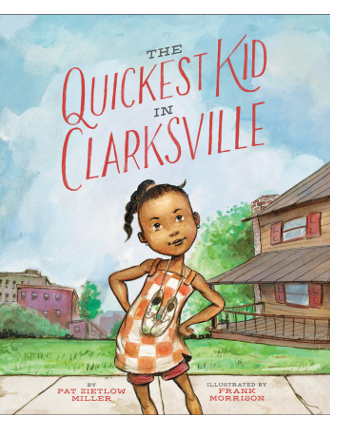 This is the story of Alta, the spirited girl of the book’s title, who likes to pretend she’s three-time Olympic gold medalist Wilma Rudolph, “the fastest woman in the world.” (An Author’s Note explains that Wilma herself grew up in Clarksville.) As Alta considers the Clarksville parade, coming up tomorrow, a new girl in town sashays her way up to Alta and her friends to show off her new shoes. This girl’s name is Charmaine, and she struts in these “only-been-worn-by-her shoes with stripes down the sides and laces so white they glow.” Charmaine even compares her shoes to Wilma’s. (Gasp!) Alta is stunned; her own shoes are falling apart. “You wanna see my tattoos? Today over at Kirkus, I’ve got a wonderful, new picture book, a superb blend of nonfiction and poetry. That will be here soon. Last week, I wrote here about Alison McGhee’s Tell Me a Tattoo Story (Chronicle, April 2016), illustrated by Eliza Wheeler. 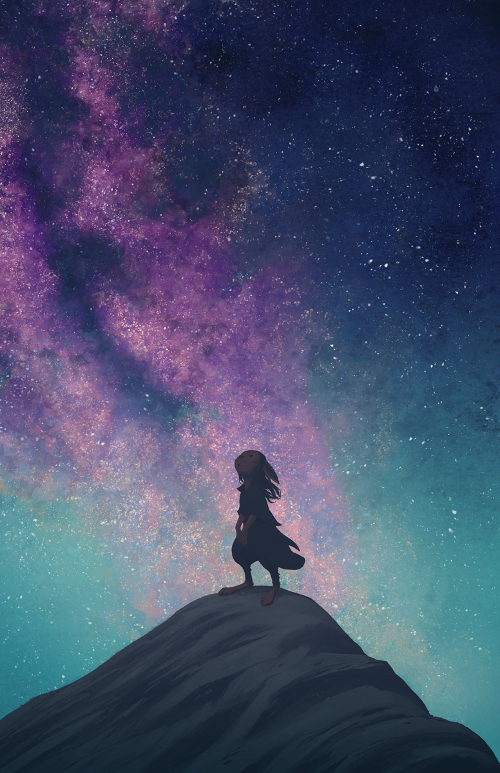 Today I have some art from the book, as well as some preliminary images from Eliza. Last week I spoke here at Kirkus with First Second’s Editorial Director, Mark Siegel, about graphic novels and ten years of First Second Books. Today, I’m following up with art — a sneak peek at some upcoming graphic novels from First Second. Last year, I read Dasha Tolstikova’s A Year Without Mom, released by Groundwood Books in October. Dasha and I started a conversation about this book at year’s end, and life (as it is wont to do) got in the way quite a bit, interrupting our chat, but we finally wrapped it up and I’m posting it today. Better late than never. 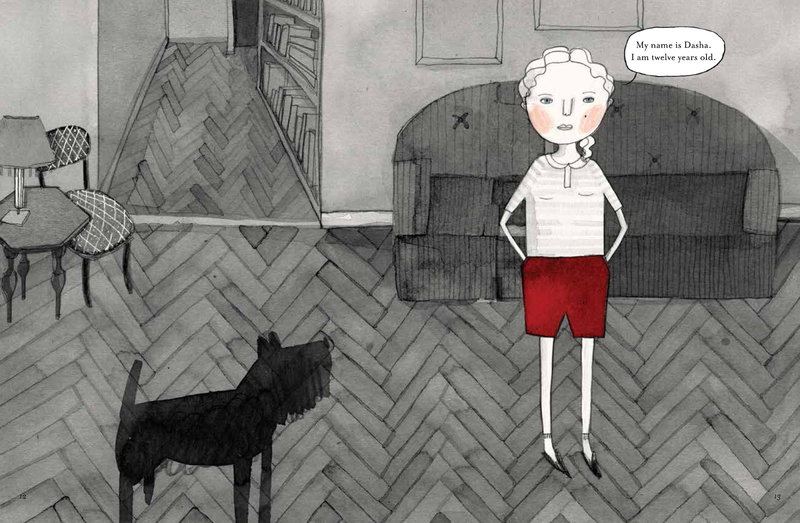 I featured Dasha’s artwork here back in 2013, and it’s wonderful to be talking about this book today. A Year Without Mom is what Maria Russo in the New York Times Book Review called a “perceptive story about change, aloneness, ambition and, ultimately, resilience” and Kirkus Reviews called “fascinating and heartfelt.” This 176-page illustrated book follows Dasha herself through a year in Moscow with her grandparents after her mother goes to America to study advertising. Politics are touched upon—essentially, Gorbachev’s leave with Yeltsin taking up the reins—but the book also tells the universal story of a middle-schooler. Crushes, the dynamics between friends, school — all of this without her mother near. Dasha visits today to talk about this book and what’s next on her plate. I thank her for sharing. 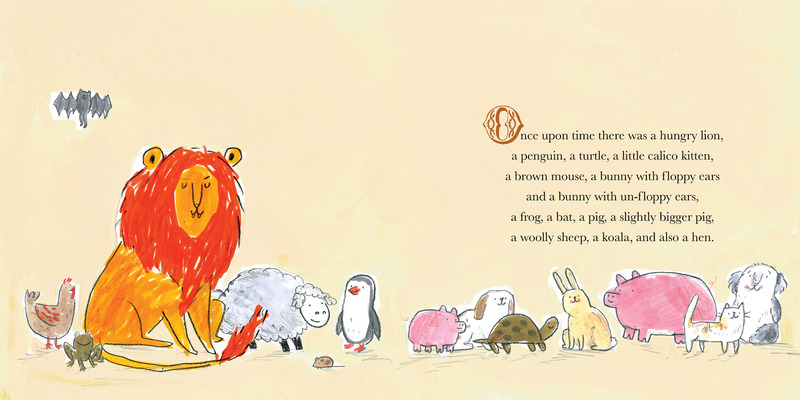 I’ve got a few spreads today from Lucy Ruth Cummins’ A Hungry Lion, or a Dwindling Assortment of Animals, coming from Atheneum next month. Cummins is not only a writer and illustrator; she is also a full-time art director. (Here’s her site.) This new book, which she rendered via brush marker, gouache, graphite, colored pencil, and charcoal, is the story of a very hungry lion, as you can see from the three spreads here today. It takes the sweet ending you expect and turns it on its head in the vein of the contemporary subversive picture book, but instead of a surprise revenge, Cummins brings readers yet another twist at the close of the story, which I won’t ruin for you. “Worm loves Worm. ‘Let’s be married,’ says Worm to Worm. 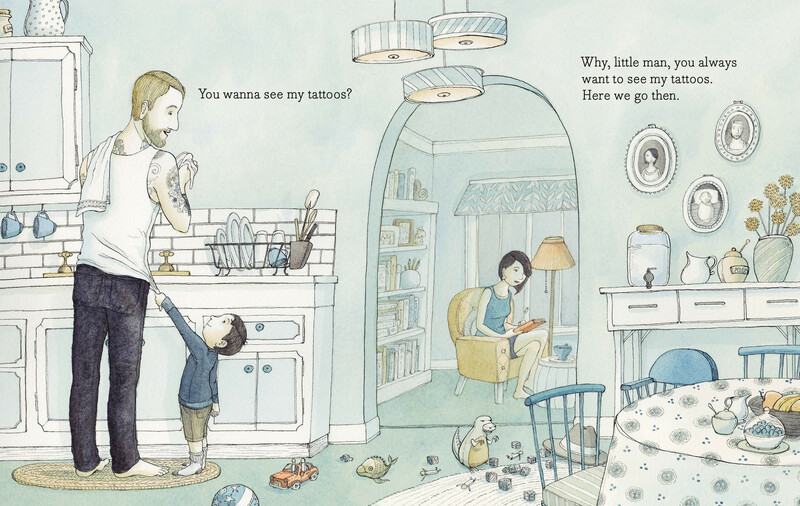 This morning over at Kirkus, I’ve got tattoos and tales on the mind. That link is here. Last week, I wrote here about J. J. Austrian’s Worm Loves Worm (Balzer + Bray, January 2016), illustrated by Mike Curato, so I’m following up with some spreads from the book today. Over at Kirkus today, I talk to the Editorial Director of First Second Books, Mark Siegel. First Second is celebrating a decade of making high-quality graphic novels for children and teens. That link is here, and I’ll follow this up next week with some art here at 7-Imp. 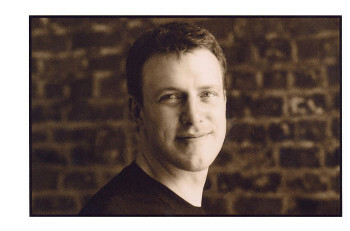 Photo of Mark Siegel used by his permission. I’ve got a review here over at BookPage of the debut picture book from Julie Falatko, illustrated by Tim Miller. 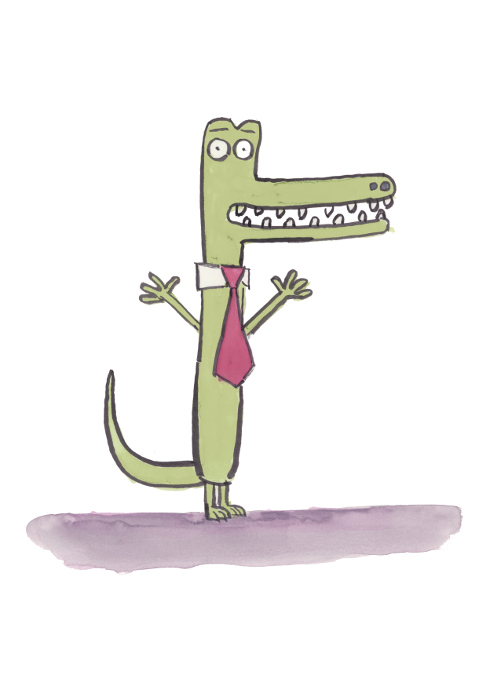 It’s called Snappsy the Alligator (Did Not Ask to Be in This Book! ), released by Viking this month. Pictured above is one of Tim’s early character sketches. I thank all the creators for taking the time to chat about it. “It’s got bright, waving things attached to it like huge kites. It’s got colors. I’ve got a review over at BookPage (here) of Linda Sarah’s Big Friends (Henry Holt, January 2016), illustrated by Benji Davies and first published in the UK in 2014 as On Sudden Hill. And you all know I get twitchy when writing about picture books but not sharing art from the insides of them, so here today are a few spreads from the book. And here’s my March 2015 interview with Benji, if you want to see lots more art.